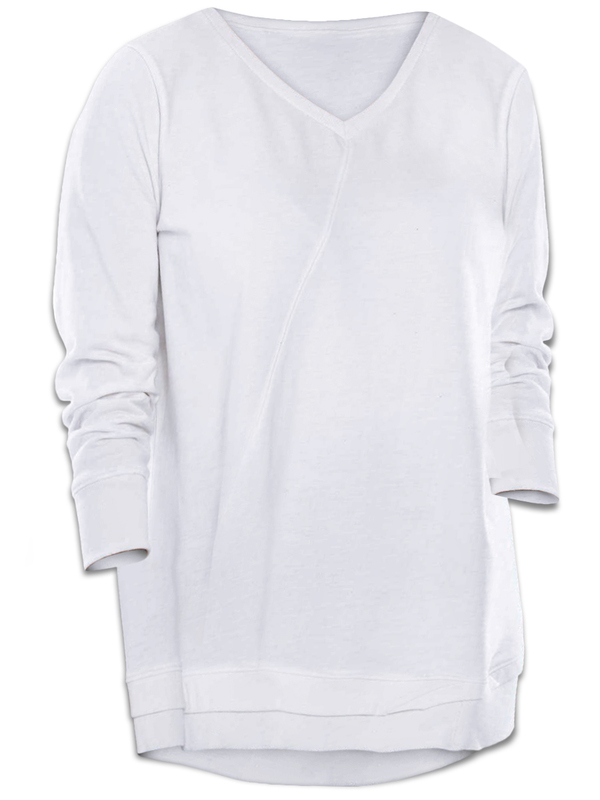 This fun top offers a new take on the traditional sweatshirt. The hem is a high-low design and it has a diagonal seam detail across the front. It is a must have item this season. 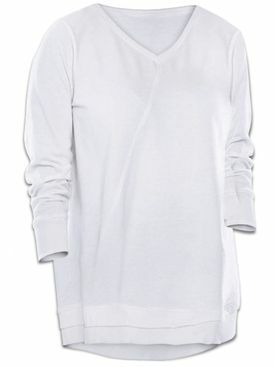 Sweatshirt features cuffed long sleeves and hem with rib trim. 2x (26/28) - Chest: 53/55" | Hips: 55/57"
6x (42/44) - Chest: 69/71" | Hips: 71/73"